Mickey’s Royal Friendship Faire will invite Mickey and his Merry makers to prepare to host a festival and are inviting friends from other lands to join the celebration. 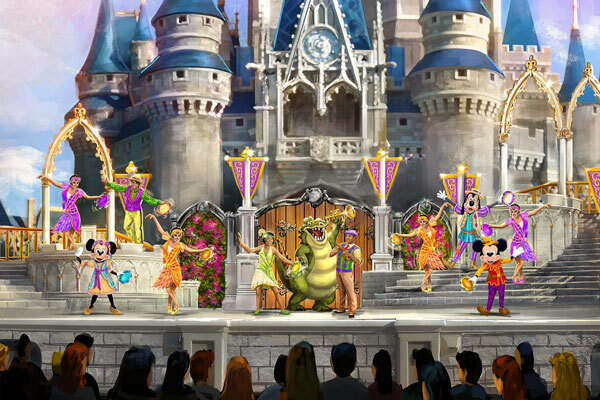 The will feature characters from recent films, such as Tiana and Naveen from The Princess and the Frog, Rapunzel and Flynn from Tangled, and Anna and Elsa from Frozen. The finale will end with a grand dance including both the Merry Makers (which include Goofy, Donald Duck, Daisy Duck, and Minnie) and the new friends. 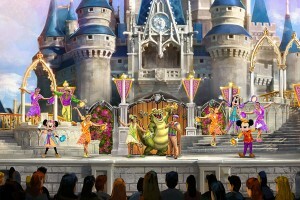 The new show will feature fantastic costumes, special effects, and dancing. The music will include an original song called “On This Day” that was written by songwriters Brendan Milburn and Valerie Vigoda who also wrote songs for Toy Story: The Musical and Tinker Bell: Secret of the Wings. Stay tuned to the blog as an official date is announced for the debut of this new show.